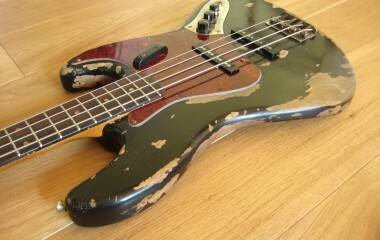 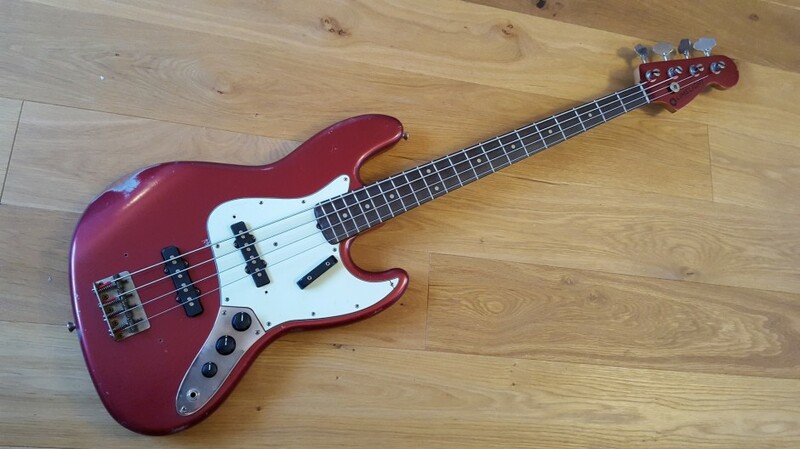 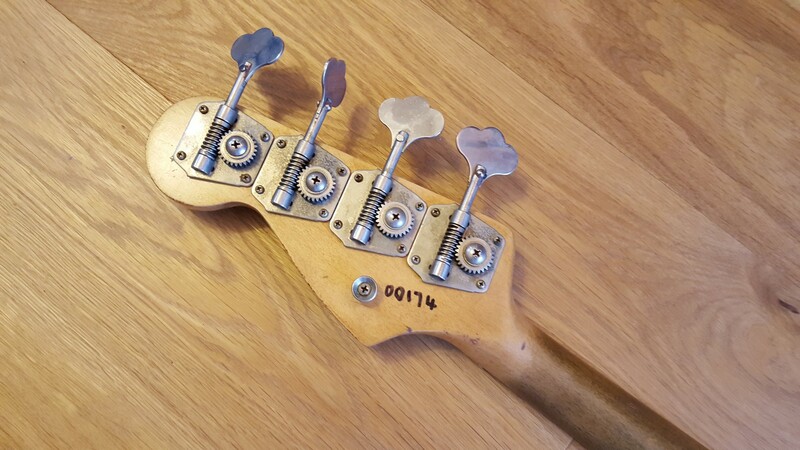 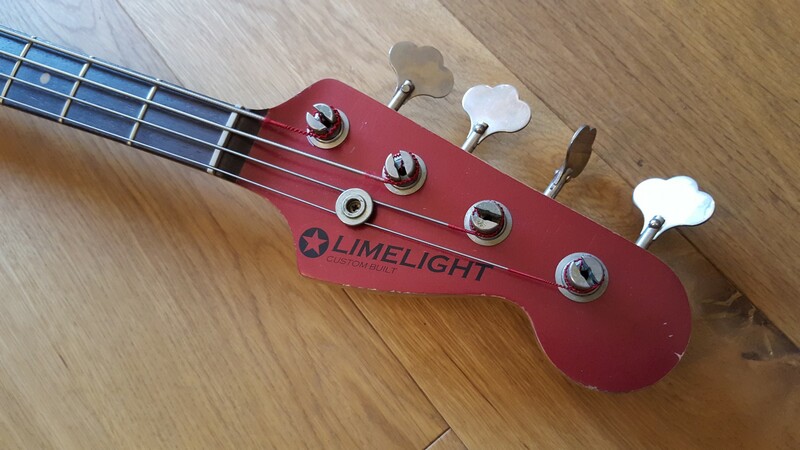 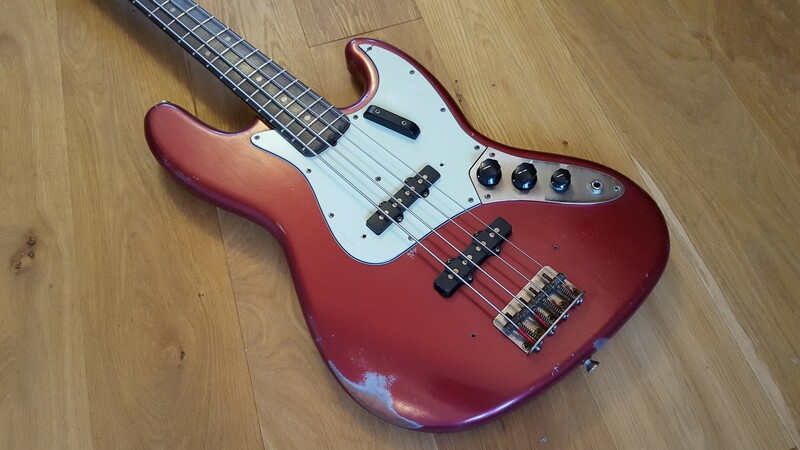 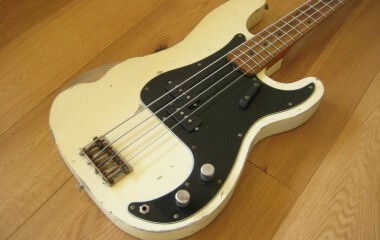 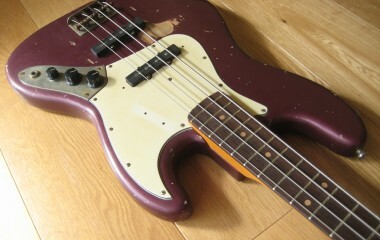 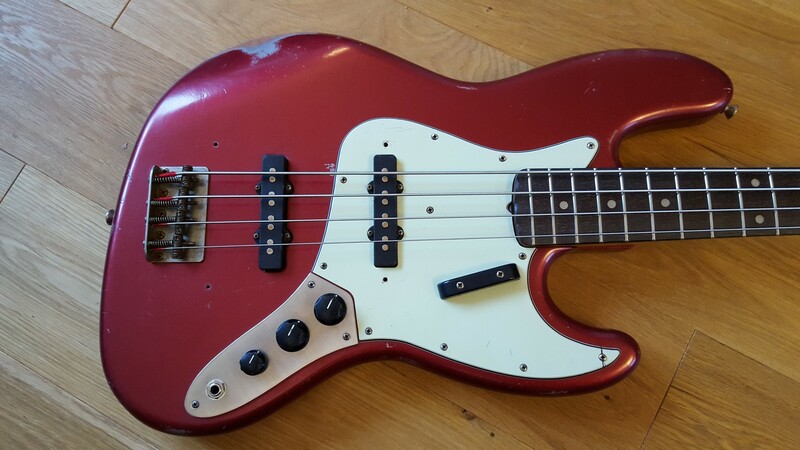 This is a Limelight ’64 J Bass with all the correct features from that era and featuring a “J” width neck. It’s been quite a while since a bass has been available for stock as the last several months we’ve been busy making custom orders. 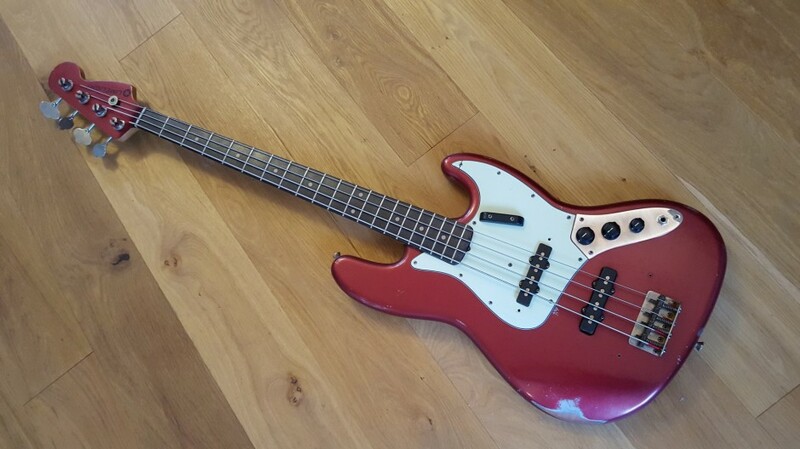 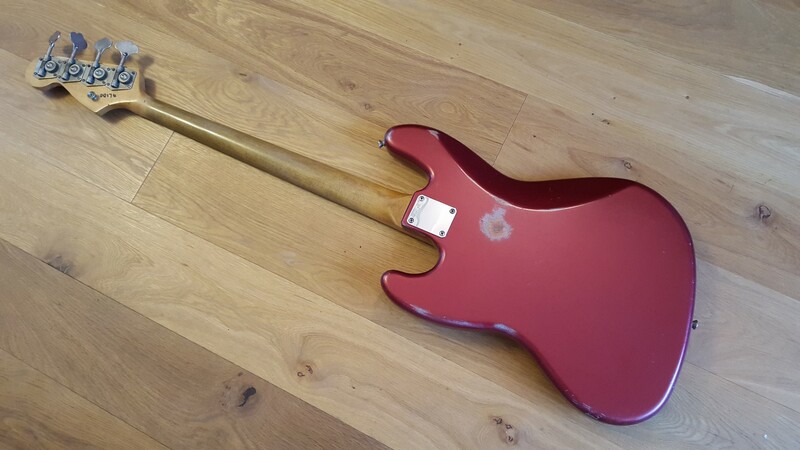 This bass is in custom colour Candy Apple Red. 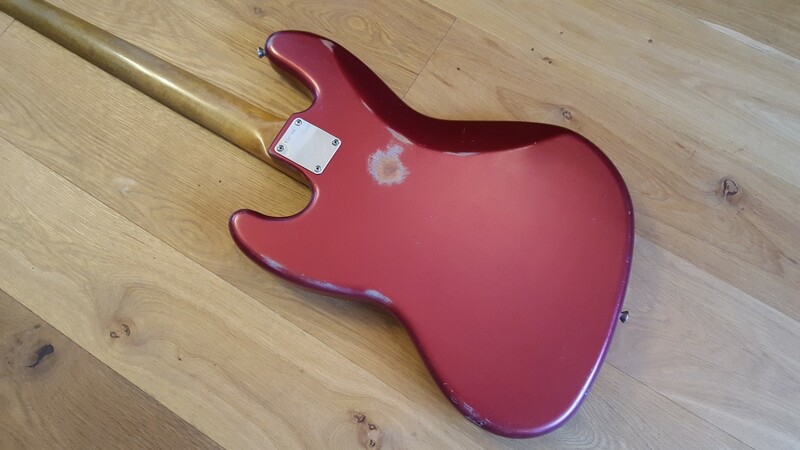 The body has a light relic, but looks “right” The metal work is just lightly tarnished which is how we’ve been doing them recently, and I think it looks better and more authentic.